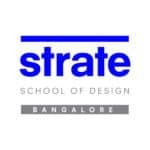 The Identity Design course from Strate deals with the branding and identity design of products, brands, services, and even organizations. Do you like to make products speak for themselves, to make them desirable, to add value to them? Do you wish to create unforgettable experiences between brands and their customers by stimulating their imagination? You are going to be the global designers of these customer routes, between packaging design and commercial space. What is a brand in the 21st century? In an open and ultra-competitive world, a brand whether a public service or a luxury actor is definitely more than its visual signature. It is an imaginary, a history, stories, values, products, places, experiences. It is above all an established relationship with customers or users who all have the possibility of being unfaithful, and which must be kept at all costs. The Identity Design course makes you a specialist design who combines the function and design of communication, strategic and operational thinking, and graphic and spatial design. It is the whole objective of the branding and identity design course is to allow the construction as the perenniality of this faithful relationship. To be an identity designer is to give a form to emotions, experiences, and information in a complex network of interactions with and between human beings within the framework of the material and immaterial universe of a brand. To be an identity designer is to invent and materialize discourses on a wide range of media in the commercial, social, public, cultural and political fields. Between physical and digital, between graphic design and interaction, between packaging and product, it is at the service of demanding actors and responsible brands. Curriculum for the Identity Design specialization. The first two years are common for all specializations. It is in the third year that you opt for your preferred course. Click on each year to see what the identity design course involves. The 1st year is essentially dedicated to the artistic skills, basic tools for the designer. The 2nd year extends the training from year one and starts initiations in the several majors offered, as well as in the 2D and 3D software and marketing. An entry-level internship is also required. The 5th year is essentially focused on the diploma project (thesis and project). There is also a collaborative project in partnership with business and engineering schools. It ends with a graduating internship. English classes are delivered throughout the five years of study, as well as a work on writing skills. Packaging is often diminished to its wrapping function. If this function is to remain one of the fundamental, the packaging must be thought in terms of technicality and marketing. The `branding` exercise that takes place at the place of sale generates scenarios that need to be taken into consideration by the designer. Packaging is the mainstay and the ambassador of the brand. And it must be well thought out both in terms of a container and in terms of brand support. This is what we strive to teach in the Identity design course of the design curriculum by pushing the thinking right up to the definition of the point and act of purchase. You can opt for the Branding and Identity Design course in the third year of study.